Looking for a Chicago hotel with free parking can hard. 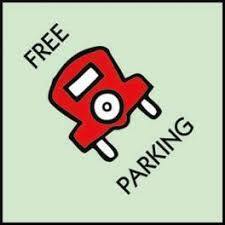 Many hotels claim to offer free parking but actually add it to the rate for a “package” so your still paying for it. It’s also harder to find a hotel close to downtown Chicago that offers free parking. The LaQuinta Inn & Suites Chicago Lake Shore is one of those hotels that actually delivers on concept of free parking. They don’t include it in a package and you can even park your own car. This Chicago hotel with free parking will save you $50.00 or more everyday you stay here. Leaving you with extra cash so you and your family can enjoy more of what Chicago has to offer. This hotel is also convenient to Lake Shore Drive and you ability to get to Chicago attractions quickly and effortlessly. You will not have to fight the traffic of downtown Chicago as the hotel is less than ten minutes from downtown and close to all the museums, Navy Pier, White Sox Park and many other attractions. The LaQuinta inn & Suites offers Free Parking, Free WiFi, Free Breakfast, Free Local Shuttle and family friendly rooms at an affordable price.